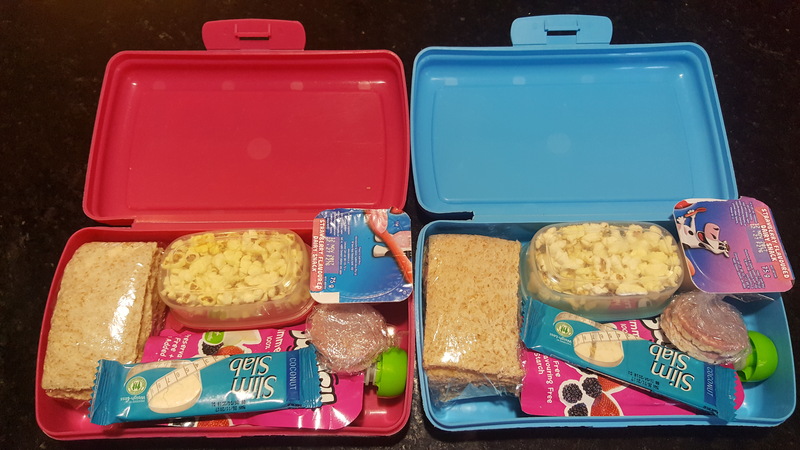 I’m always looking for lunch ideas for kids lunch boxes, this is a tough one because Tazkia is a fussy eater whereas Zia eats anything and everything, so packing their lunch boxes can be quite frustrating. 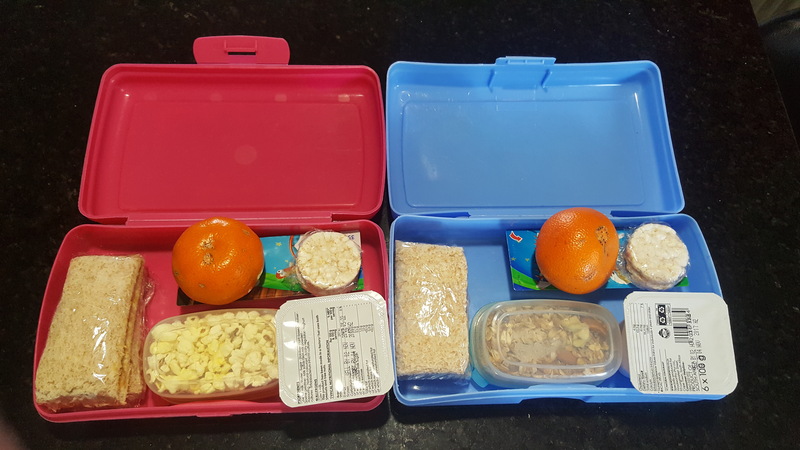 The girls are at a Montessori preschool which promotes healthy eating which is another frustration on its own because healthy snacks are expensive and there are limited options available. As you can see there is kind of a pattern, there will always be a fruit, yogurt, and sandwich, and I’ll change up the rest of the snacks depending on what is available for the week. So S will literally take a peanut butter sandwich everyday. Easy peasy. N on the other hand is a bit more work. I do cheese and crackers, packed separately so the crackers don’t go soft. Boiled egg? But i have to remove the yolk. If they like cheese, I buy the small cheese blocks and the mini simply chicken viennas which are individually wrapped. 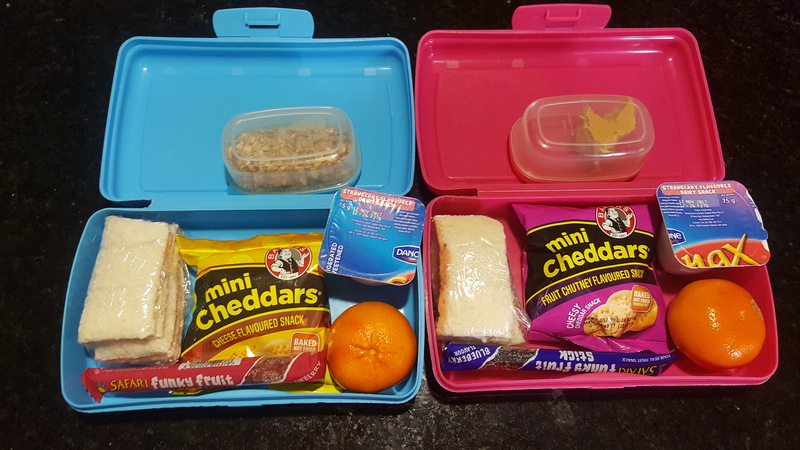 My boys lunches look similar to your girls. They take yoghurt, sandwich, water and fruit too. 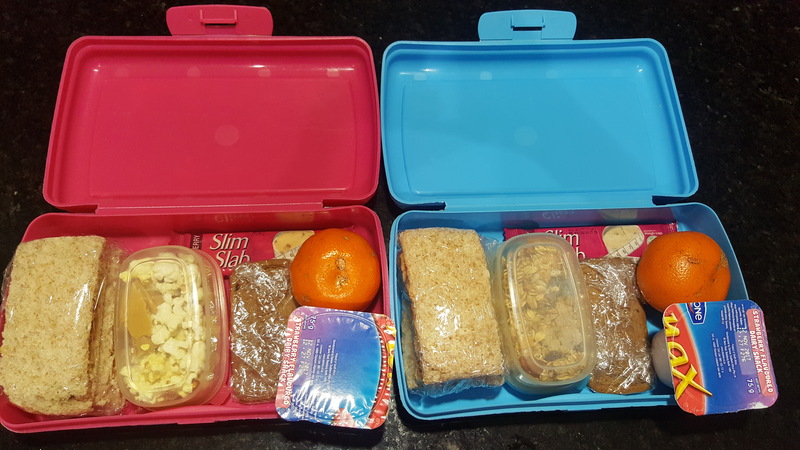 They stay at school so late shame…so I try to keep their tummies full with healthy snacks. yes i have to do the same. i must try the cheese blocks and chicken viennas too.